Dead flaky skin cells are gently exfoliated by dispersing crystals evenly and comfortably, to reveal a healthier glow to renewed skin. This simple non-invasive technique improves the overall texture, clarity and tone of the skin. Removal of the surface layer of the skin also allows for better product penetration to treat various types of skin conditions. Rejuvenation protocols are preformed on average every 7-14 days for optimum results. Between 4-12 treatments are recommended and thereafter once a month maintenance is highly beneficial. A series of treatments will give you optimal results. 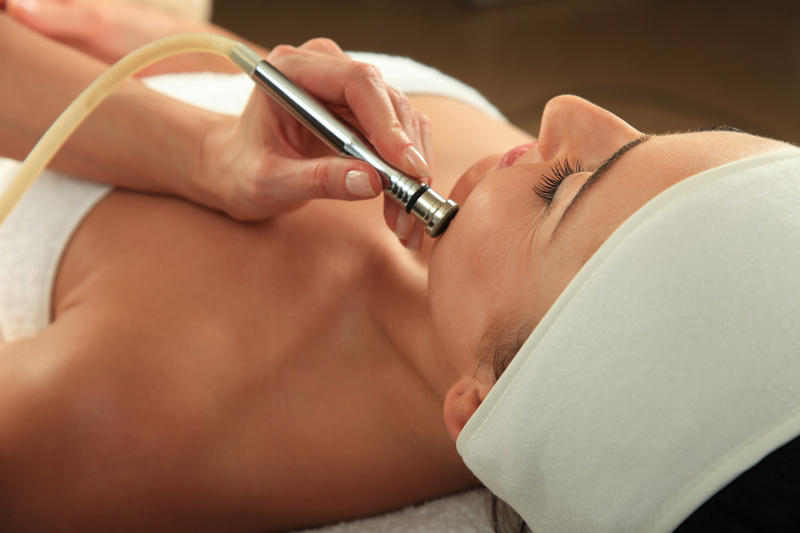 What are the advantages of microdermabrasion? Dermaplaning is another method of deep exfoliation using a sterile surgical blade called a dermatome. These treatments address the similar skin issues as microdermabrasion. Dermaplane treatments can be even more effective than microdermabrasion on small skin imperfections such as fine lines or acne scarring.